Although the upcoming release of Apple's iOS 10 will bring over 100 new emoji characters to your iPhone keyboard, the new additions will likely do little to curb your insatiable thirst for more new emoji. Thankfully, an app is now making it easy to vote for potential new emoji so they can ultimately become a reality. As explained in a report by 9to5Mac, an app called Emoji> has introduced a new EmojiRequest feature it claims can offer you at least a little say in how the future emoji characters are chosen. Basically, it allows you to vote for dozens of proposed emoji -- everything from a swearing face to a sad poop face -- and EmojiRequest will submit formal proposals to the Unicode Consortium for the ones with the most votes. In case you're wondering, the Unicode Consortium is the non-profit organization that oversees the Unicode standard and has the final say on ideas for new emoji characters. "We intend to create well-formed Emoji proposals for the most requested Emojis," the EmojiRequest website states. "We understand the process well and think that these proposals will have a good chance of being approved. Unicode may also choose to take our request data into consideration while reviewing Emoji proposals. 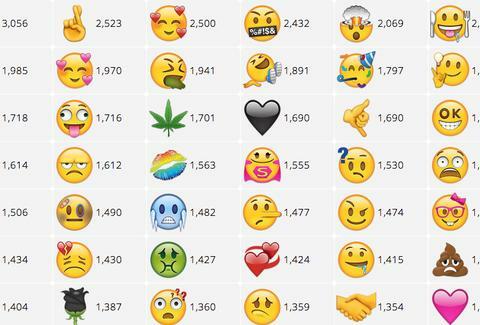 However, the final decision lies with Unicode and there is no guarantee the Emojis you request will be approved." In other words, voting for new emoji characters via the app or its website is very much unofficial and has nothing to do with the Unicode Consortium. However, EmojiRequest said it can use the data from all the votes it receives to propose the characters to the Unicode Consortium, which could potentially speed up the process of making them a reality, and most importantly, getting them on your phone. With any luck, you'll have a shiny new "Sad Poop" emoji in no time. Tony Merevick is Cities News Editor at Thrillist and, personally, can't wait for the swearing face one. Send news tips to news@thrillist.com and follow him on Twitter @tonymerevick.